Welcome to my inaugural column. It’s an honor to finally have a chance to have my voice heard in the pages of VIE and to tell my story. This is a love story between my adoptive parents and me. In December 2010, I was delivered to the VIE office for an introduction to the publisher and editor-in-chief, Lisa and Gerald Burwell, respectively. I was about to become homeless and one of Lisa’s brothers thought they needed a canine companion. At just six weeks old and no more than three-quarters of a pound, I could barely make out who was looking at me; I was swaddled in a blanket inside a cardboard box with my favorite stuffed toys. Lisa took one look at me and melted. I melted too. Lisa, who is now my mom, would say she finally understood the true meaning of the term “puppy love.” We were hooked. I was then given the name Sucre, which is French for “sugar.” I have been living up to my name ever since—in fact, sometimes I lay it on pretty heavy. 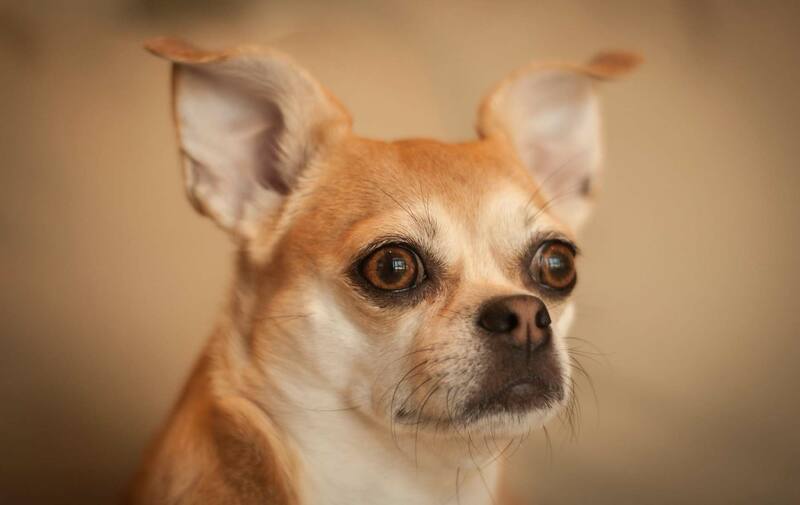 I’ve heard mom say that she never thought she’d ever own a Chihuahua; my breed has a reputation for being neurotic, noisy, and very needy. “Dahling,” I say, “That is just not true!” I have spent the last four years presenting the case to her that in reality, it is actually the opposite. Of course, I am aware that I usually get my way because I am very cute, as that is what I’ve been told since birth—and I can’t help but believe what humans say since they are so adorable. I have been going to the office every day with my parents since they adopted me. My coworkers work really hard and are very nice to me when my parents are too busy to pay attention to me. With all the other things I need to do around the office in the course of a day, I had the hardest time making the deadline for this piece. (There are a ridiculous number of deadlines in the magazine business, but I’ll save that for another column.) For example, humans are required to constantly pet me or look at me as if I were the cutest thing on the face of the planet. I think it is an unwritten rule somewhere. Aside from that, I am usually busy sitting on my mom’s lap during meetings, pretending to look important. I may be looking absolutely adorable, but I am actually not doing anything. One of the most important things I do at the office is to check out everyone who comes in through the front door. I used to bark like a banshee at them until I was told that it was inappropriate and that it caused too much disruption. Now I just sniff them to make sure they smell right. The stamp of approval comes when I touch them with my right paw. Then there is the periodic conniving of as many Milk-Bones as I can possibly eat. I’ve learned that batting my eyelashes pretty much gets me what I want. I’ve been told that I’m spoiled. “Spoiled” is not in my dictionary, so I don’t know what it means—but I think I like it. Oh, and I can’t forget the naps! Then I go home and play. It’s a tough life but somebody has to do it. This issue has a lot of amazing stories about animals and how we help humans by giving them love. It celebrates the various beautiful species that God put on this lovely planet earth. Don’t work so hard! Try going to the beach more often. There is nothing like the feeling of sand between your paws. Sit on the porch and enjoy some lemonade. People watching from my porch is one of my favorite pastimes—my version includes barking at anyone who dares to pass by. I think it is important for friends and family to enjoy each other and spend time together whenever possible. It seems that everyone really enjoys my presence. I wish everyone could be loved as much as I am—the world would be a much better place. I must be really cute because that is what everyone says—I guess being cute is a good thing. Try it out sometime. Weekends were made for rest. Put down the work and enjoy every minute of them. Car rides are awesome. They can help to solve almost any problem because you can think in a car. Taking naps throughout the day really helps my beauty regime—I highly recommend it. I love sniffing flowers and just about anything and everything. I think there is a saying for that: “Stop and smell the roses” or something to that effect. Love everyone and be kind. Being loved is great! Learn from our canine species to practice unconditional love every chance you get!